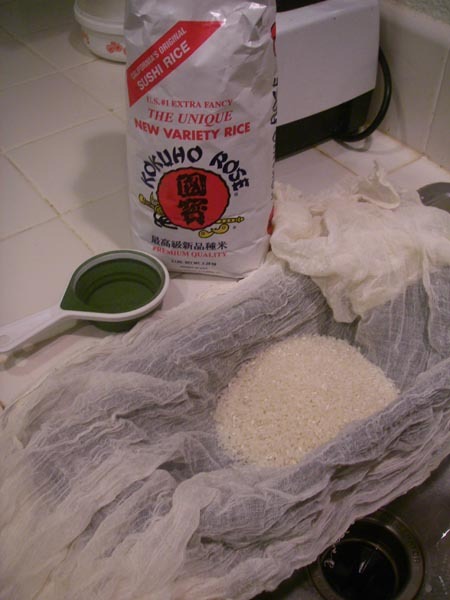 Once upon a time, I looked up how to make sake, and ran across some easy recipes. Sounded simple – rice, water, yeast…wait. 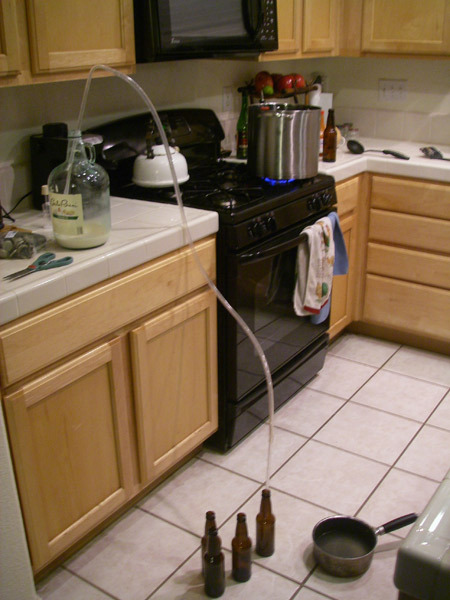 Then, however, I found out that this was not the best way to make sake. 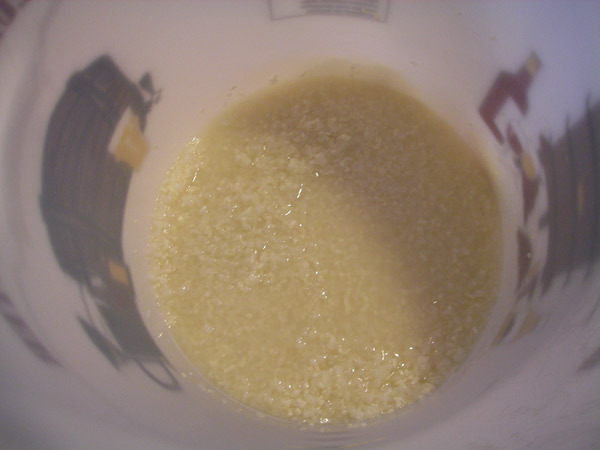 In fact, it makes really horrible sake. So my husband and I set out to do it right. We found a wonderfully detailed guide here: http://www.taylor-madeak.org/index.php, and went out to buy the supplies and ingredients. That’s $80 to start, for approximately three gallons of sake. That’s a lot of sake, but that’s also a lot of money. And what about time investment? As you may be able to tell, it was a lot more work than we expected. Steaming the rice was time consuming, especially towards the end, when it had to be done in batches. Stirring the sake a couple times a day was no big deal. 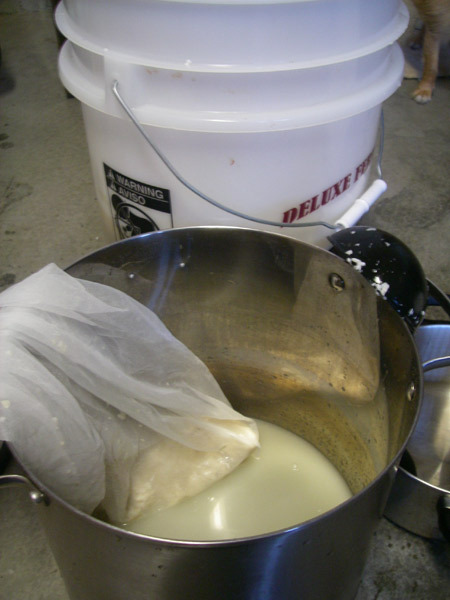 Moving it into the secondary fermenters, and later into the bottles was difficult and took 1-2 hours each time. Keeping the sake at fifty degrees was extremely difficult. We eventually ended up purchasing a brewing thermostat ($60) in order to keep our sake at a regular temperature. This cuts down on time investment, but ups the cost. And for an impatient person like me, the vast amount of time it takes to go from rice, water, and yeast to drinkable sake was tedious. 10.5 weeks. I’m going to go ahead and say that this is not worth the time and money if you’re aiming for something quick, easy, and low cost. It’s fine as a hobby (which my husband has decided to take upon himself…after all, we have all the supplies now), but not as a sustainable activity. My experience brewing beer was much more pleasant, and I’ll post on that in the next few days! 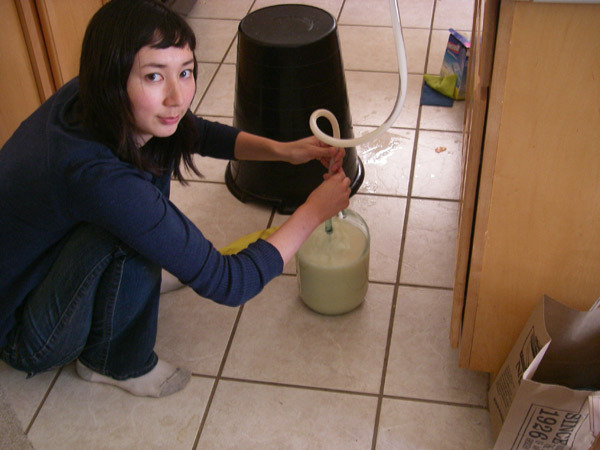 My mom and her buddies used to make rice wine in the fall. They just use cooked sweet rice sprinkled grounded yeast balls(from the Asian groceries store) on top. Then leave them near the heater for warm….absolutely no temperature control. The wine is sweet, and the yield might not be that great. They consume the fermented rice too. It supposes to be probiotic like yogurt. Neat! I would love to try making this sometime, if you want to give me your oversight. Keeping the traditions alive!